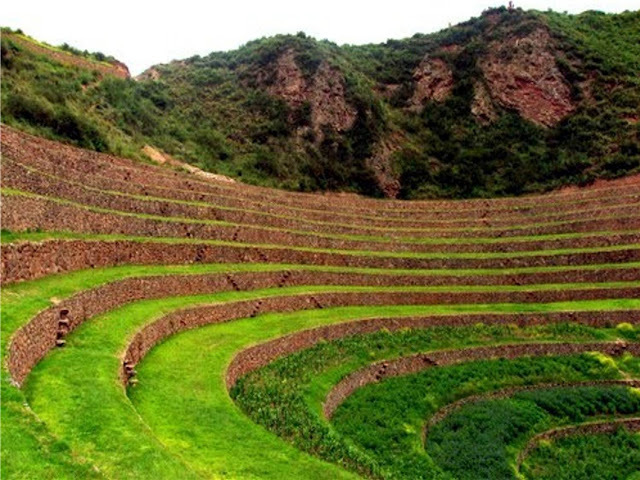 In the majestic highlands of Peru lies the charming town of Huatu. 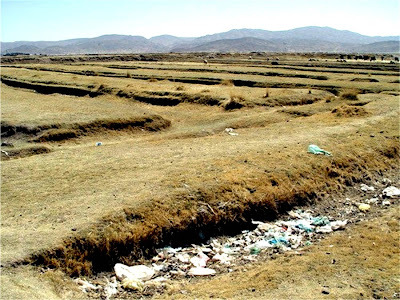 It is a village centered around farming, but it has not done well in the past. Because of the high altitude, the growing season is normally short and the area is subject to unexpected killing frosts at the beginning and the end of the growing season. That means that the crops are just as likely to fail as they are to produce. Traditional farming methods and Western agricultural experts have been of little or no help. That has made life very hard for the farmers that make up most of the population of Huatu, with little hope in sight. Then an archaeologist came to Huatu. 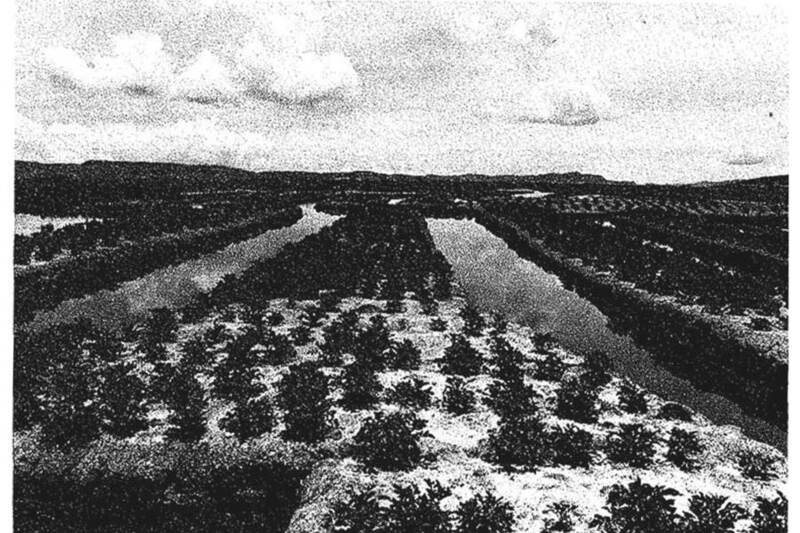 He noticed that much of the surrounding countryside was covered with ditches, separated by raised mounds. 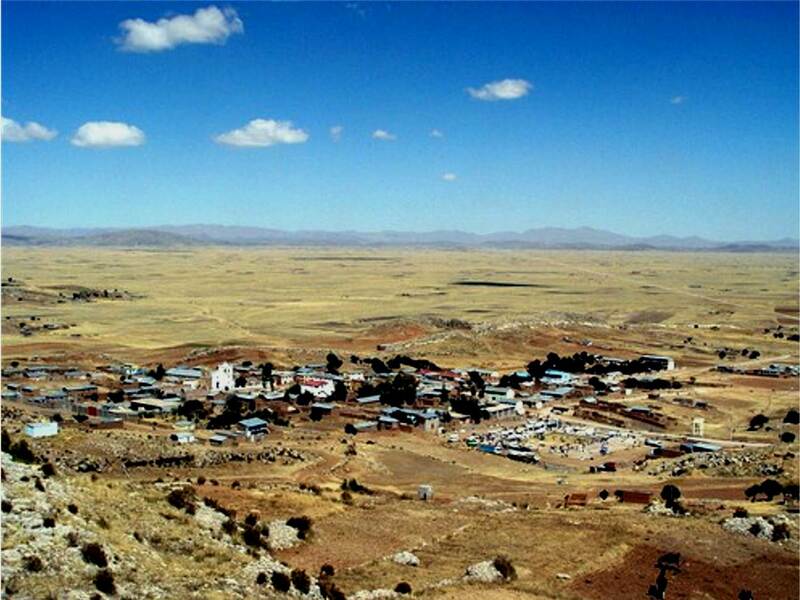 The native people of Huatu had lost all of their people's past history when the Spanish had conquered the area and wiped out most of their population. 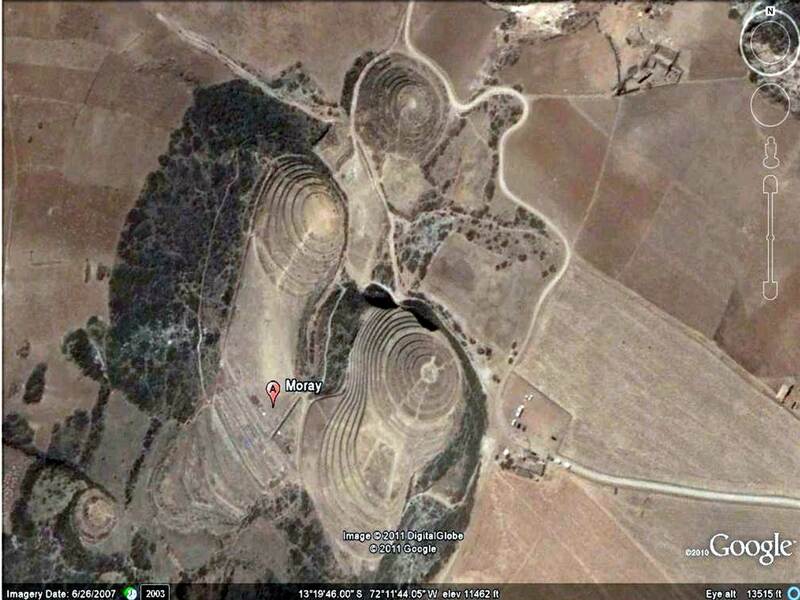 They had no idea about why the alternating ditches and mounds were there. They only knew that they had always been there. The archaeologist spent some time studying the area and he began to have an idea. He went to some of the local farmers and told them that he had uncovered the meaning of the ditches and that he could teach them how to farm as their ancestors had done. 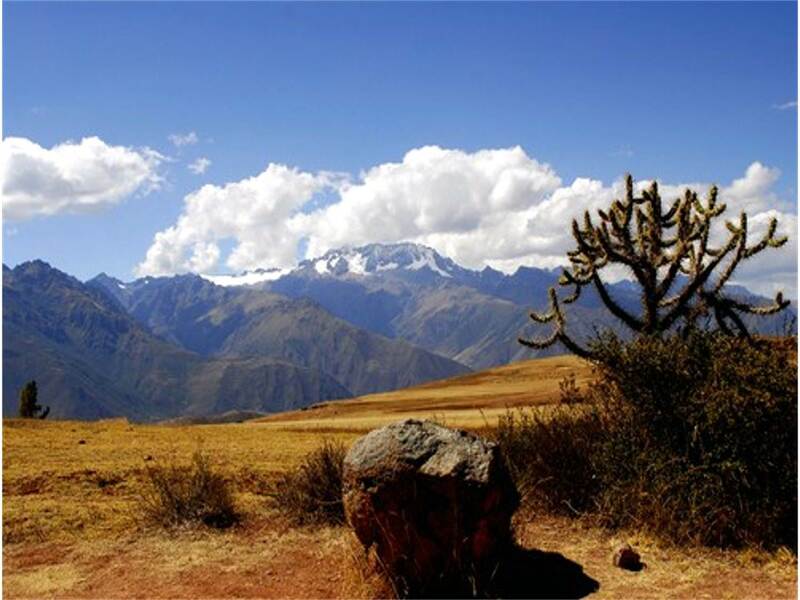 As with most of the native peoples of the Andean mountains, the villagers had a great deal of reverence for the people who had come before them. So the archaeologist was able to convince a few of the farmers to work with him for one season. His idea was that the ditches had once held water, making a canal between each of the raised beds. He worked with the farmers to take one section of the fields and dig the ditches out, putting the soil on the raised mounds in between and then to flood the ditches with water. It worked! The result was that the water held the heat that it collected from the sun every day and then released it as vapor during the night, providing a micro-climate around the crops that was several degrees higher in temperature. That meant that the crops survived the frosts almost routinely. This meant several things. The farmers could not only successfully raise the crops they had been used before, but they could now expand and raise other types of crops that they had never been able to raise before. This was, of course, an immediate boost to their income and also lent predictability to their economy. 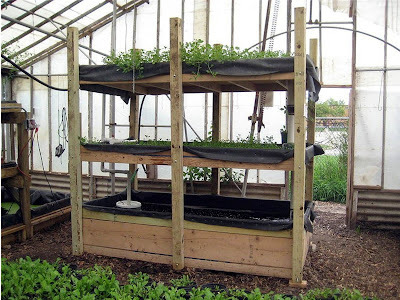 A Western experimental aquaculture system. In addition, the people were able to raise fish in the canals beside each bed. This gave them yet another rich source of food. In addition, the fish would feed on the insects that tried to reach the crops, along with the water providing a natural pest barrier. Periodically, the farmers would dig the canals out again, putting the mud on the growing beds. This was a natural source of fertilizer, since the mud was full of fish manure and offal. All these things together resulted in a self-sustaining system that had been engineered by people thousands of years ago, without the benefit of Western agricultural science. Indeed, it was far ahead of Western science. 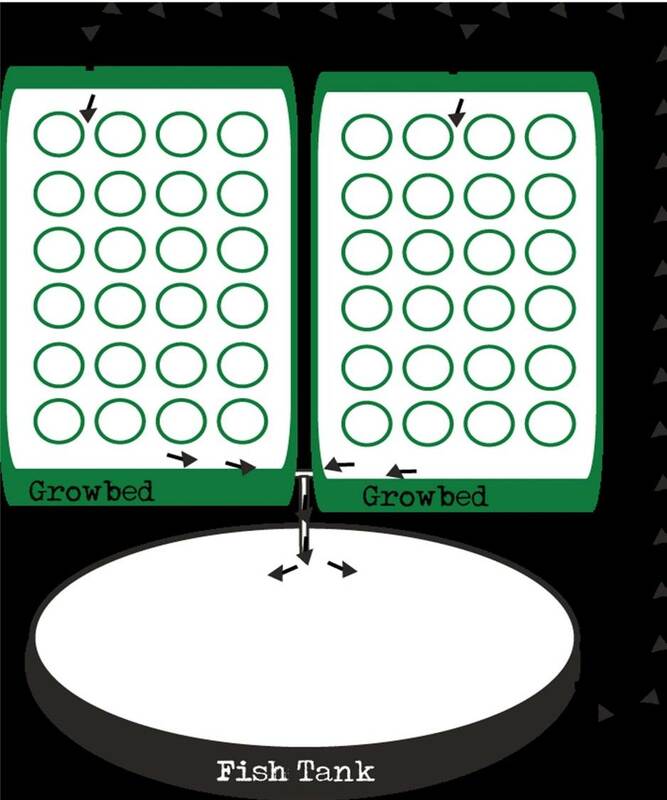 Diagram of a modern aquaculture growing system. 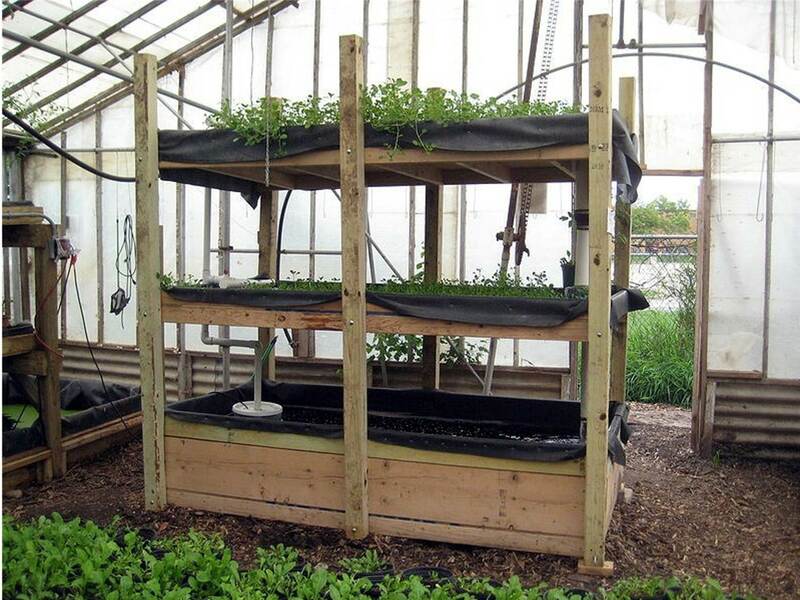 Modern agriculture has just begun experimenting with aquaculturally based systems and they are usually very small. As you can see from the diagrams, the fish are kept in a tank. An electric pump has to push water from the fish tank, laden with waste, up to the growing beds. 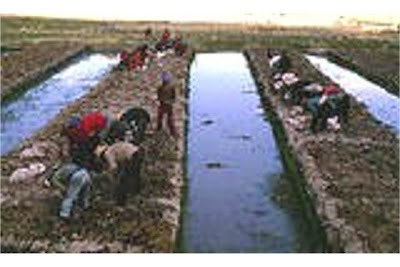 The beds filter out the wastes, which fertilizes the crops in the beds and purifies and aerates the water for the fish. Of necessity, this can only be done on a small scale and requires a lot of electricity. The Huatu system, on the other hand, is self-sustaining and self-balancing and requires no inputs of electricity, fertilizer or pesticide. 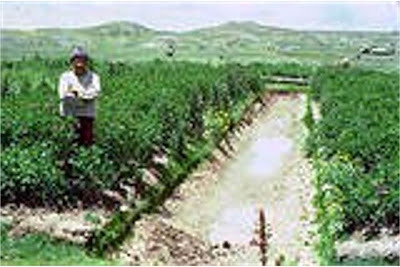 It is huge, operating on a landscape sized basis and functions well in an agriculturally difficult climate. And it was designed by people who lived thousands of years ago without any knowledge of Western type science. 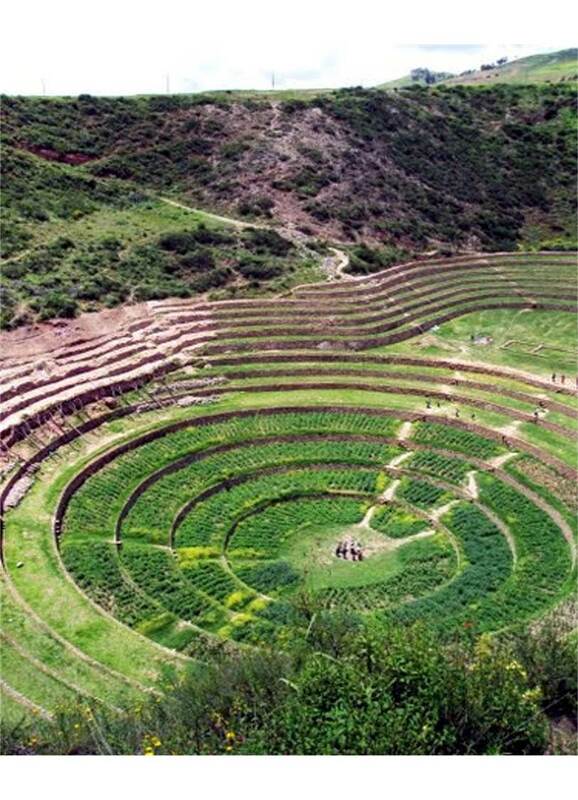 Then there are the people of Moray, Peru. They have a different problem. 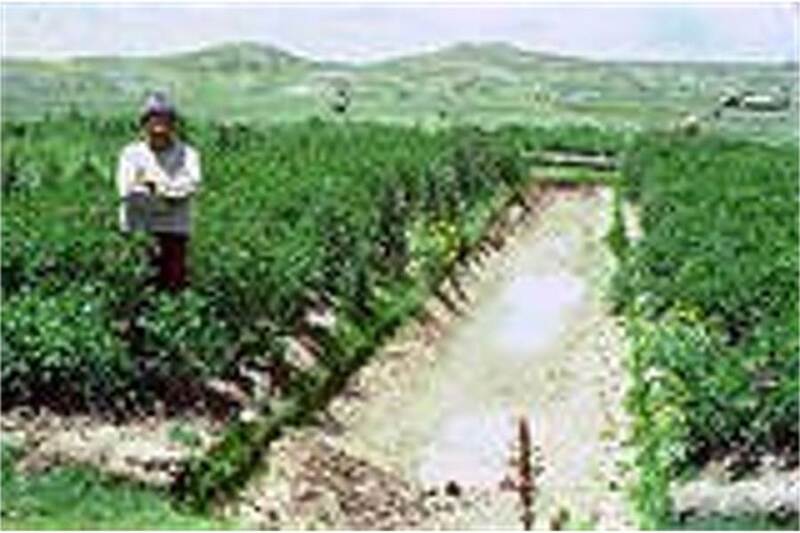 They have no large dependable source of water to use for their crops, as the Huatu people had, but they also live at a high altitude that makes it difficult to sustain crops. Someone long before them has employed a different strategy. The large circles that you see on the aerial view photographs are gigantic holes that have been dug into the ground. Around the edges of the holes, terraces, bordered by stone walls and with steps inset within them for easy access to each level, have been dug, each one about four of five feet lower than the next, making about 15 to 20 different layers. The lower you go, the more protected the crops are from the high Andean cold and wind, making the micro climates of each level several degrees different from the one below or above it. Consequently, the people of Moray can raise about 66 different varieties of crops and vegetables that cannot be raised anywhere else for hundreds of miles. An added benefit is that the holes provide the perfect amphitheater for special events. 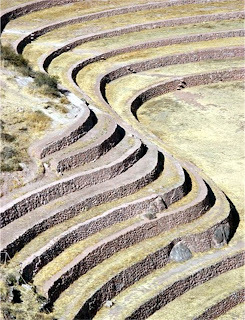 Someone standing in the center of the hole can speak to people standing all around on the terraces and be heard perfectly, without amplification. Again, so well designed is the system that it is completely self-sustaining, so that the poor, uneducated inheritors of this technology have only to use it. They don't have to understand it. It just works by the nature of what it is. Notice the different crops on each level. 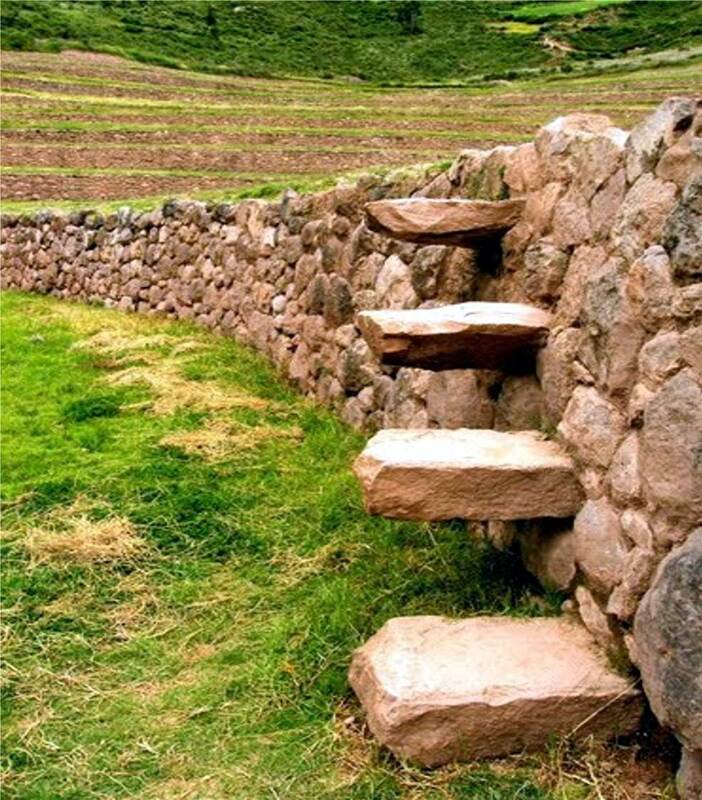 Built in steps to reach each level. 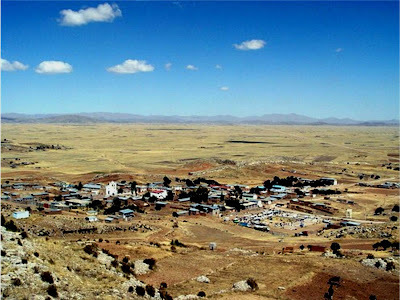 Lastly, there are the people who live in the Llanos de Moxos area of Bolivia. They are faced with a completely different agricultural challenge - water management. Unlike Moray and Huatu, they live in a low-land savannah. 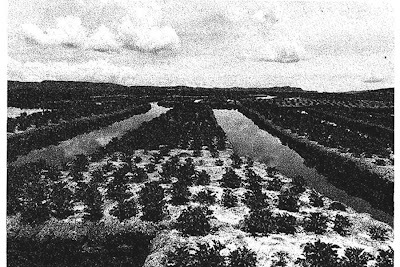 Their fields are routinely inundated by deep floods or parched during the dry seasons. However, far in the past, someone of great technical skill landscaped almost the entire region with a system of ditches and raised growing beds that not only keeps the crops dry enough to grow by channeling the flood waters away. The canals are also linked to large reservoirs that keep enough water in them to keep the canals full during the dry season, watering the crops when they would otherwise die. At the ends of certain of the growing beds are raised platforms where the farmers used to have their dwellings and storehouses, to be near their fields. 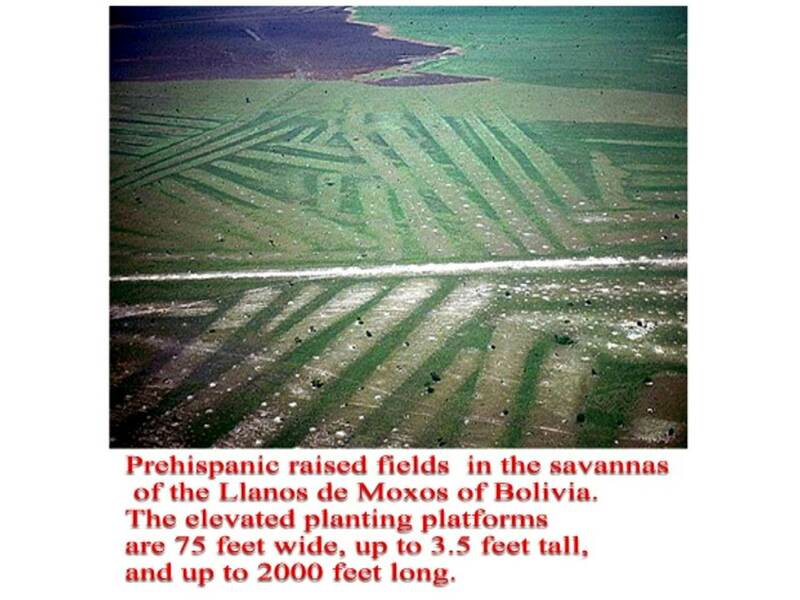 Again, the native people have no idea of who exactly built these landscape sized agricultural systems, meaning that it happened so far in the past - before they got there - that they don't even have any stories about them. It is impossible to date. The only way that all of the fields can be located is by seeing them from the air. The locals don't even know where they all are. Three completely different agricultural settings with unique challenges that have all been met by technical skill and a level of organization that modern civilization can barely envision, much less reproduce. Yeah, the ancient human beings were far inferior to modern people, just like the Darwinists say.